I was brought up a Vegemite kid. What’s Vegemite? you ask. For all of you non Australians, it’s a black, creamy, salty, slightly bitter spread and it’s a required taste. From the lyrics of Men At Works 1981 hit song “Down Under”…I said “Do you speak -a my language?” He just smiled and gave me a Vegemite sandwich. It’s all Australian. Vegemite’s launching year was 1922, so it’s been around for a while. It’s main ingredient is yeast extract, high in Vitamin B. And as the slogan song once played…put’s a rose in every cheek. It’s usually spread on your morning toast but I’ve discovered a few recipes for this tasty ingredient..I like it so much that I have it sent over to me by anyone who’s coming my way, friends and family know that they can send me some in the post anytime, and it’s always the first thing on my Christmas list. 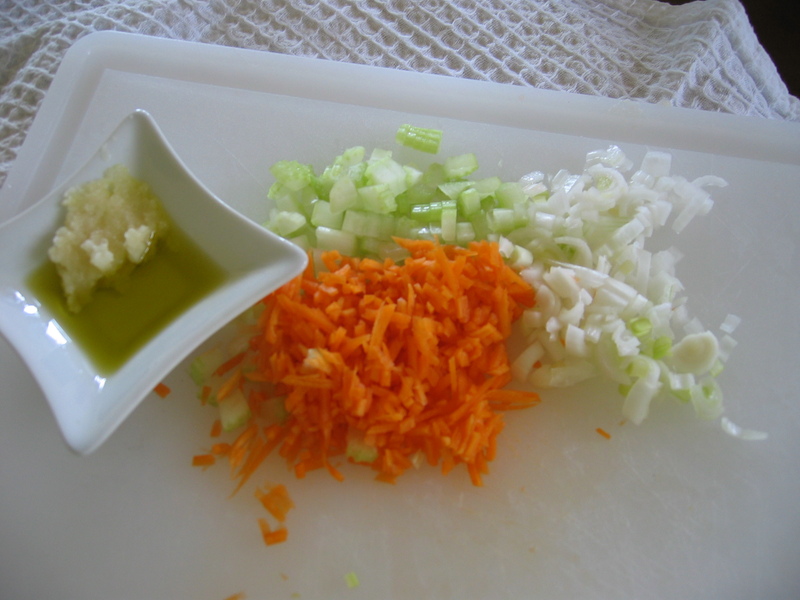 Chop onion,carrot and celery finely. Heat 1 tablespoon of olive oil in a large saucepan. 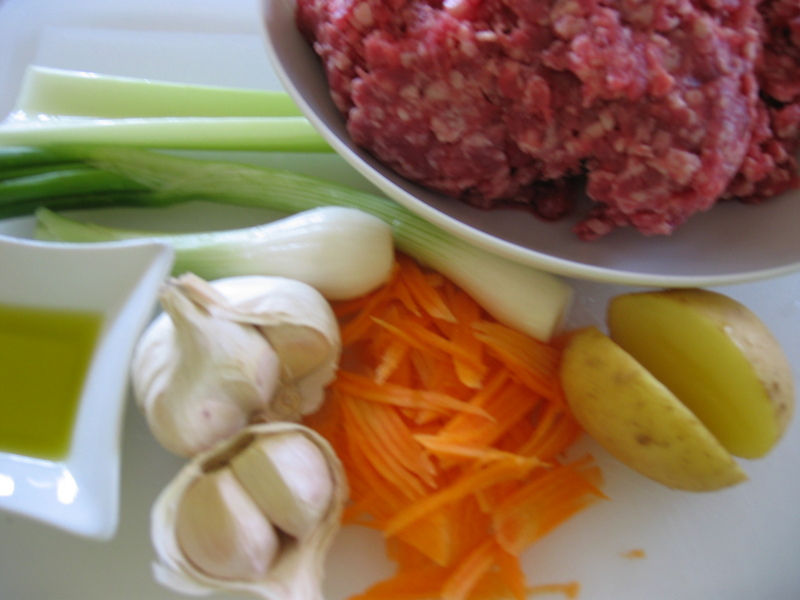 Add garlic,onion,carrot and celery. 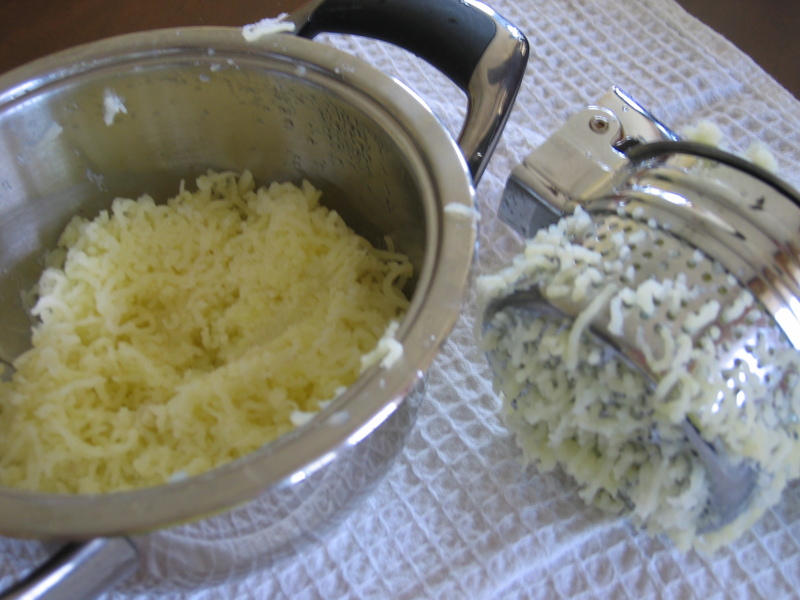 Cook for 4 minutes or until soft, remove from pan. 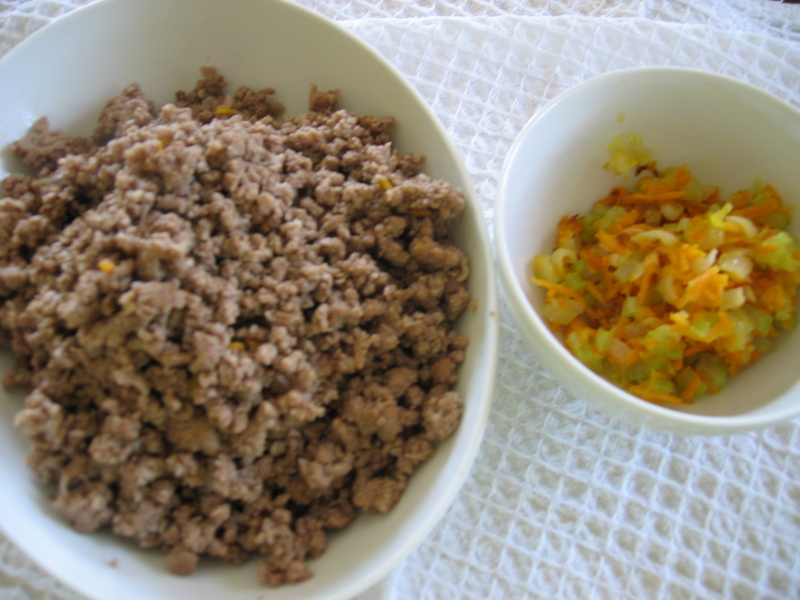 Heat the rest of the olive oil, add mince and brown in small batches. In the meantime prepare potatoes, peel, boil and drain. 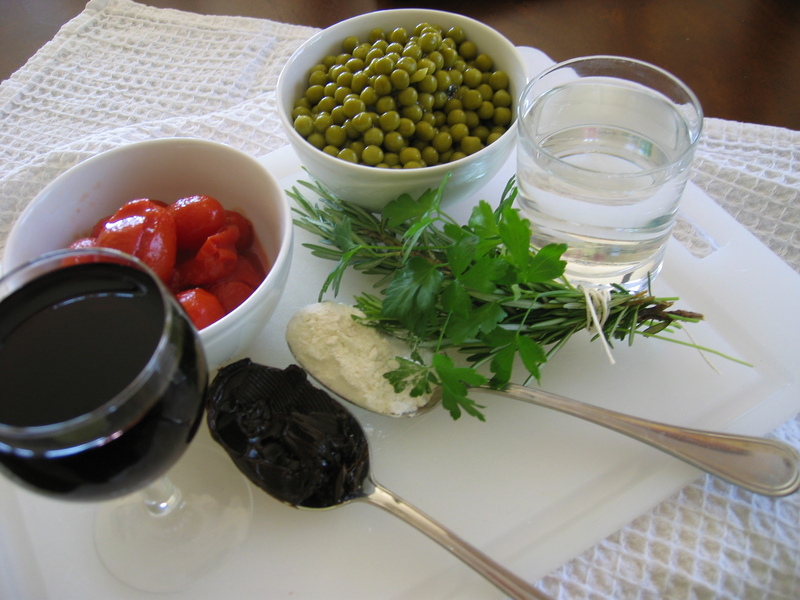 Dissolve the flour in the hot water, then add to pan with cooked mince and vegetables, vegemite, wine, tomatoes, peas. 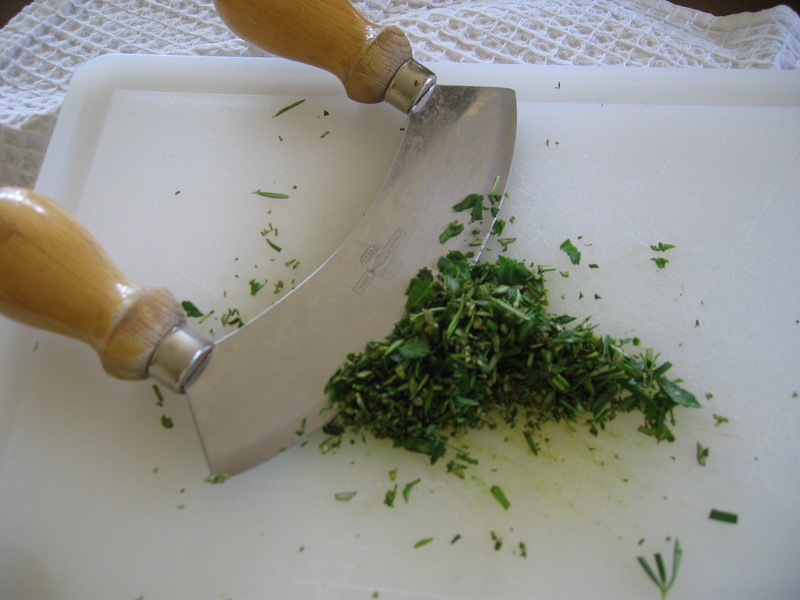 Finally adding the chopped herbs. Bring to boil, then simmer for 25 minutes. 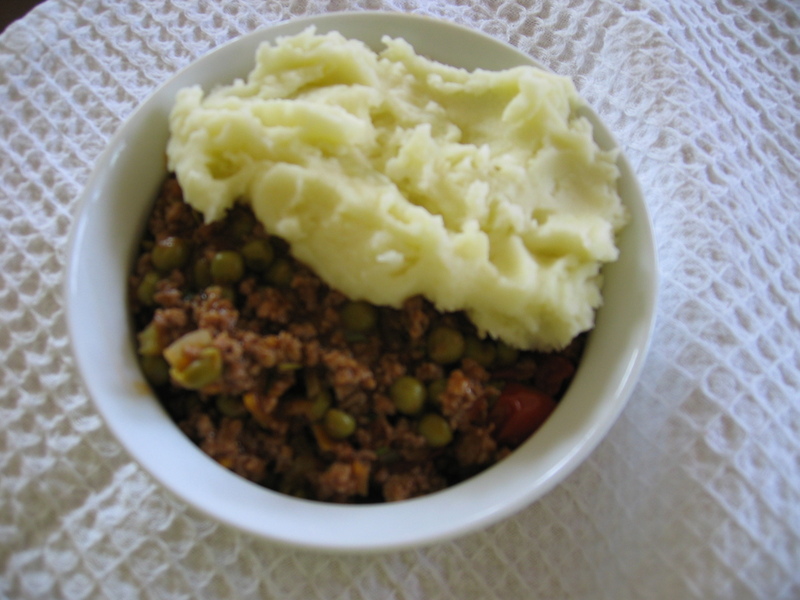 Preheat oven to 180° C.
In a bowl, mash potatoes preparing as usual a creamy mashed potatoes, use a bit of butter and a tablespoon of milk. 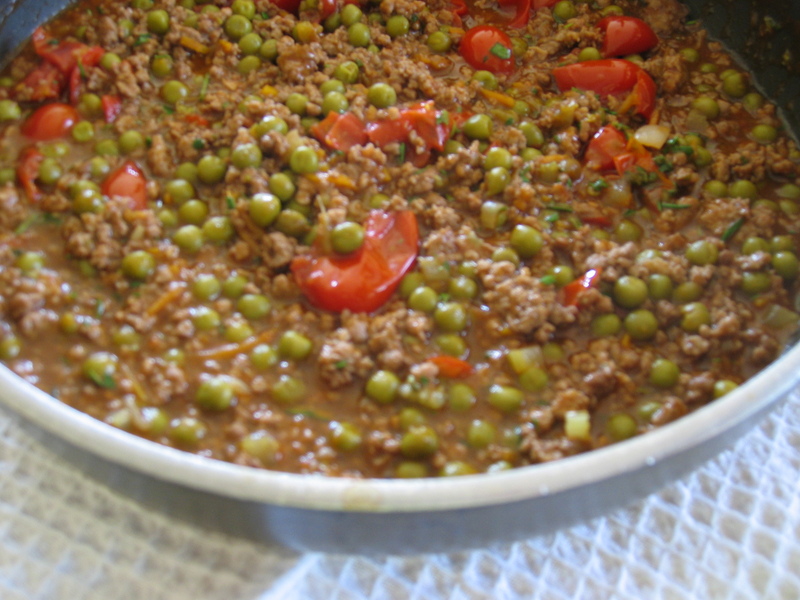 Spoon pie filling into a oven – proof casserole dish, or 4 individual dishes as I’ve used. 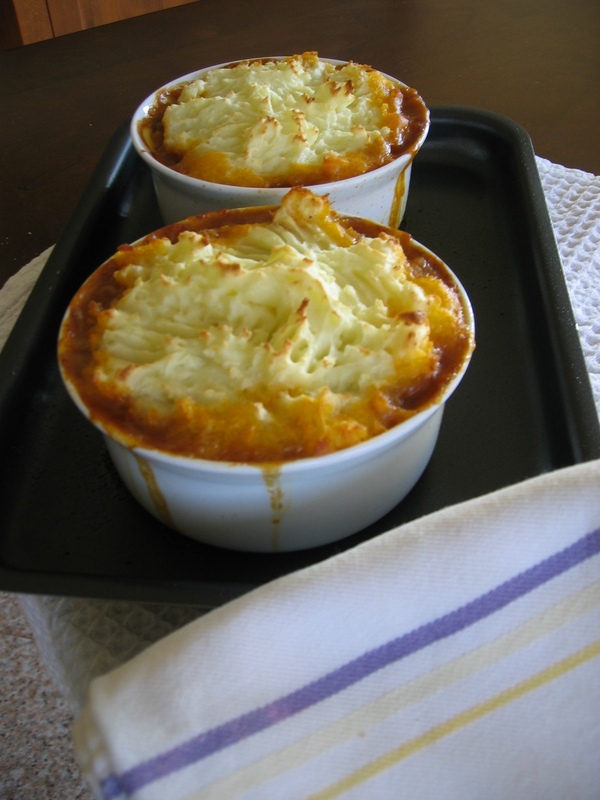 Top with mash potato, then bake for 20 minutes. 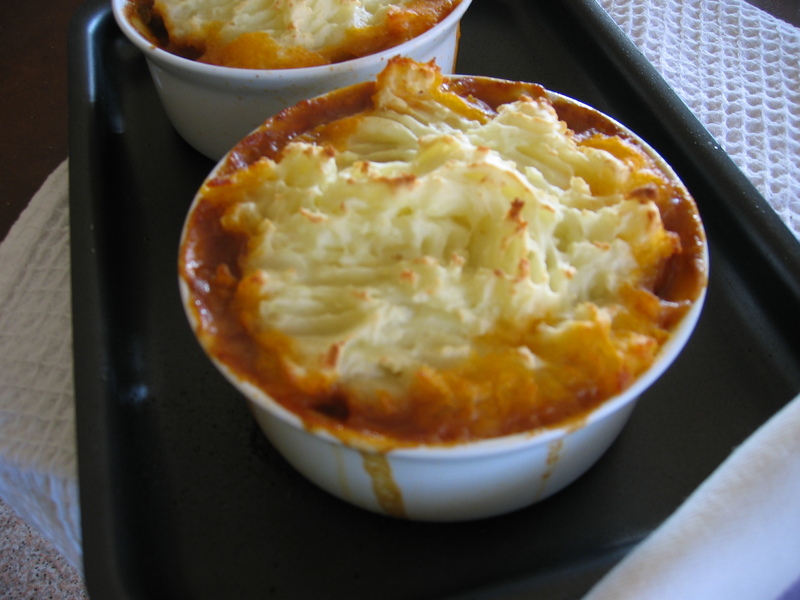 And wow, a delicious cottage pie.Serve with a mixed leaf salad or a green vegetable such as steamed zucchini. No, funny enough! Vegemite just isn’t a winner here, doesn’t attract the palete, maybe it’s the visual impact…I’m a real vegemite kid!It has been a talking point many times, whenever the question comes about…What’s real Australian….Vegemite., and out comes the jar.. However my husband has tried it, “likes it with cream cheese”! !